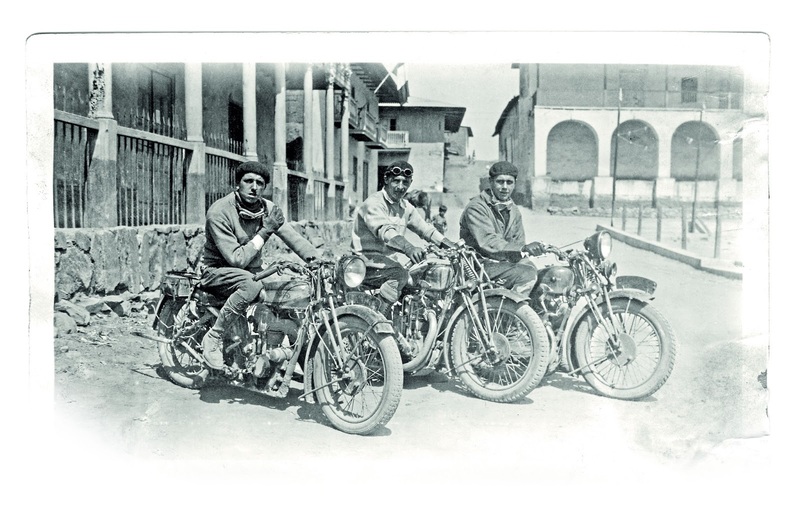 -SG- The June edition of 'The Classic Motorcycle' carried an interesting article and photo about three Brits who claimed to have ridden their bikes to the astronomical height of 14763 feet in the Andes in 1931. Two of these intrepid adventurers were Motosacoche mounted but the third, believe it or not, was riding a JE 350 Norton. The JE, as I think I have mentioned before, was not one of Nortons best sellers and many of the early production bikes did not actually get despatched for a year or two after production started in 1929. It seemed to me unlikely that many JEs were sold to Peru (not a destination I have ever noticed before in the despatch records) and a quick check shows that - probably - the JE used for the Andes jaunt was actually one of the early ones (engine number 1310) being shipped out in July 1929 to a company called 'Sociedade Imp. Gen.' in Lima. The records show it to have been fitted with a tank mounted speedo, dynamo, electric horn and twist grip. CMC edtor James Robinson has kindly given permission to use the photo of the three riders - fortunate that the JE is in the foreground and, apart from the electric horn, one can see the other 'extras' clearly. What we don't know is who was riding what - the names of the three were R. Lewis, J. D. Galloway and I. B. A Rokes. And what on earth were they doing living, and probably working, in Peru in 1931?